In the White House, tea or coffee? President Obama and Vice President Joe Biden met with law enforcement officials in the Roosevelt Room of the White House on Jan. 28, 2013. The White House is perhaps the most intense work environment in all of America, and presidents have a long history of fueling themselves with coffee to make it through the early mornings and late nights. But the current occupant of the White House appears to be bucking the trend. 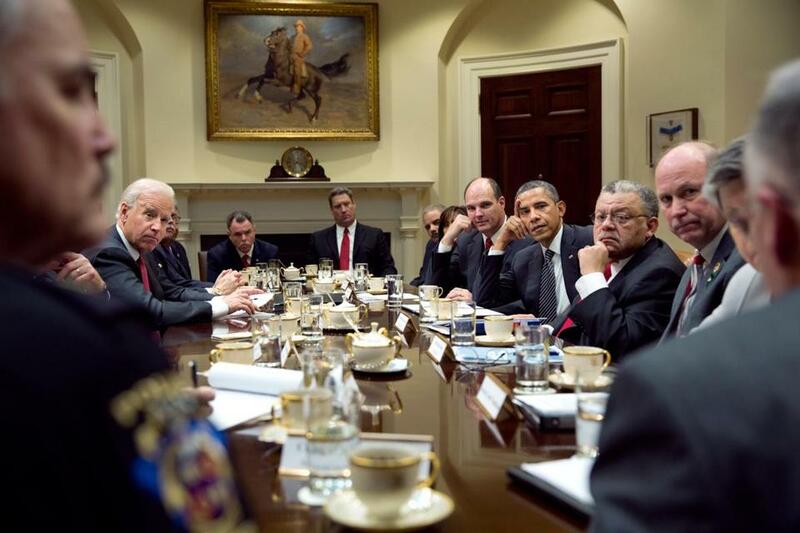 President Obama’s close advisers say they cannot ever recall him with a cup of coffee. 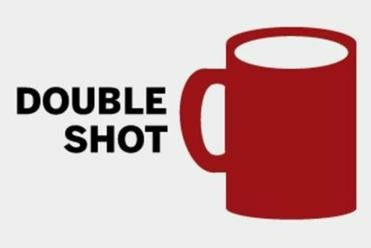 “Very honestly, I do not recall him drinking coffee ever,” said Arun Chaudhary, his former videographer. 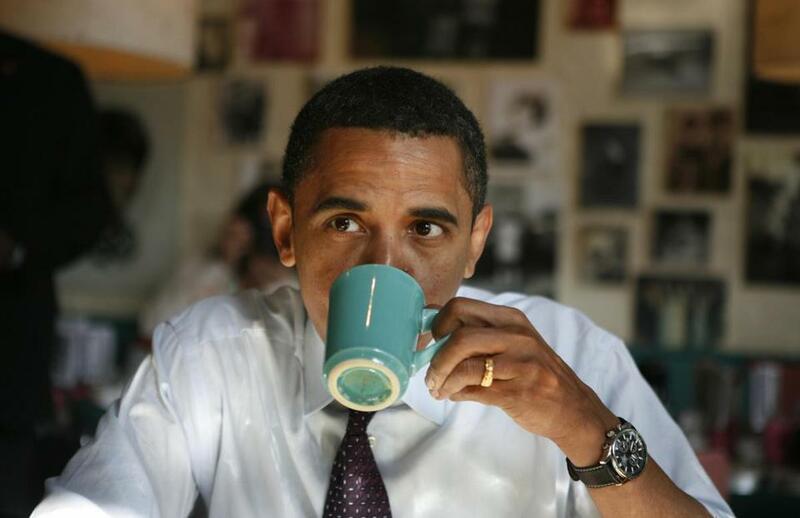 “Obama’s not really a coffee drinker,” said Jon Favreau, who is the president’s former speechwriter (and most definitely a coffee drinker, often grabbing a cup of Dunkin’ Donuts on his way into work at the White House). Scour through a series of photos of him — in the Oval Office, aboard Air Force One, inside the Situation Room — and he almost always has a cream-colored, gold-trimmed porcelain cup in front of him. We don’t know exactly what’s in those cups, but aides suggest they’re filled with tea. 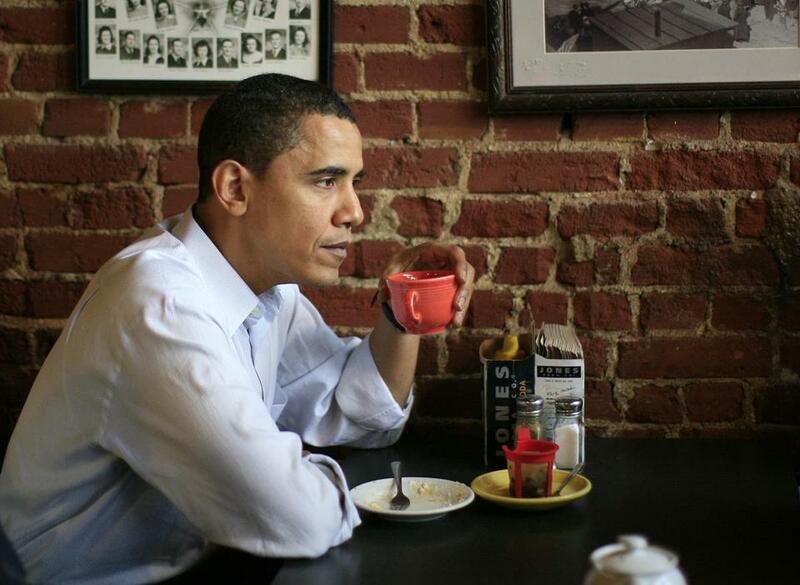 As a Democratic presidential candidate, Senator Obama had breakfast at Pamela's Diner in Pittsburgh on April 22, 2008. 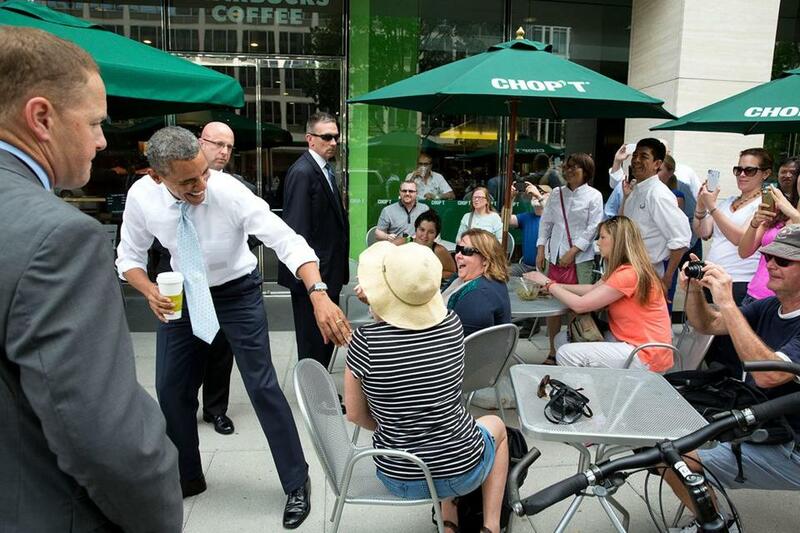 President Obama greeted people after dropping by a Starbucks in Washington on June 9, 2014. When a reporter shouted out, "How's the coffee?" the president shouted back, "It's tea!" 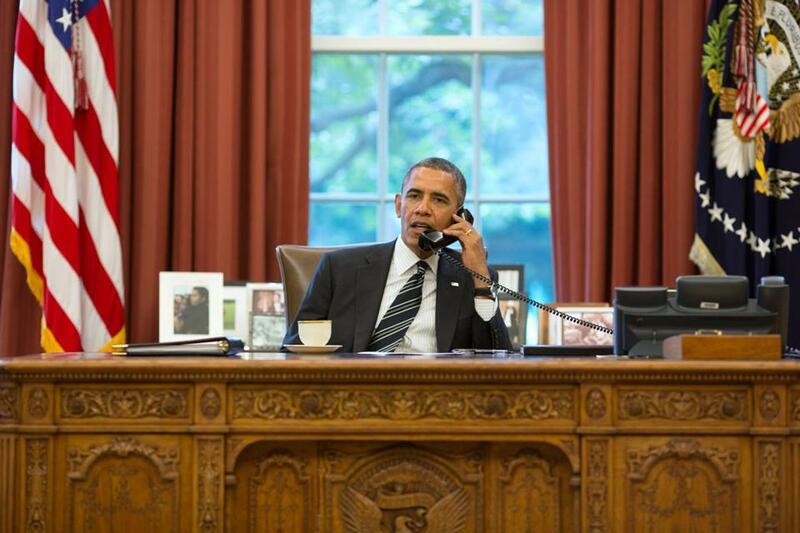 President Obama spoke with President Hassan Rouhani of Iran during a phone call in the Oval Office on Sept. 27, 2013. On the campaign trail, Obama spoke with customers at Smokey Row coffee shop on Dec. 22, 2007, in Pleasantville, Iowa. President Obama with Carol Burnett, the 2013 recipient of the Mark Twain Prize for American Humor, and her husband, Brian Miller, in the Oval Office on Oct. 21, 2013. President Obama and Vice President Joe Biden were updated on the debt ceiling deadline in the Oval Office on Oct. 1, 2013. From left, Kathryn Ruemmler, counsel to the president, Treasury Secretary Jack Lew, Sylvia Mathews Burwell, director of OMB, and Alyssa Mastromonaco, deputy chief of staff. 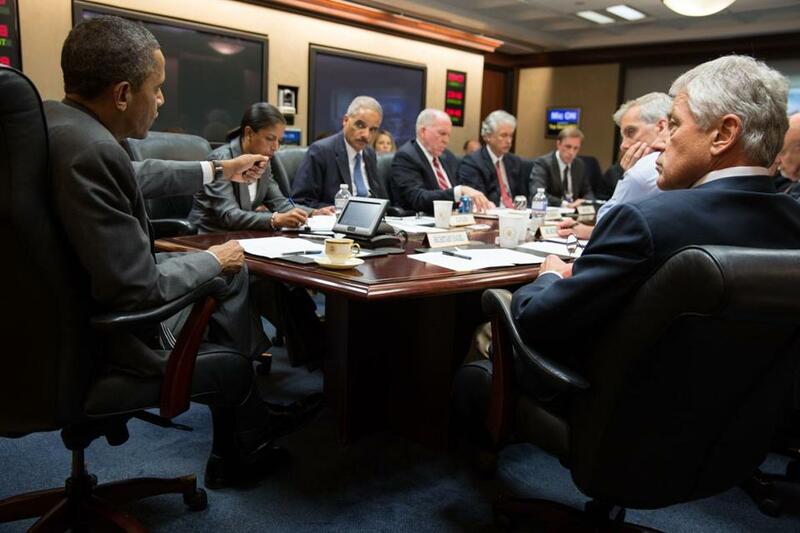 President Obama met in the Situation Room with his national security advisers on Aug. 31, 2013. 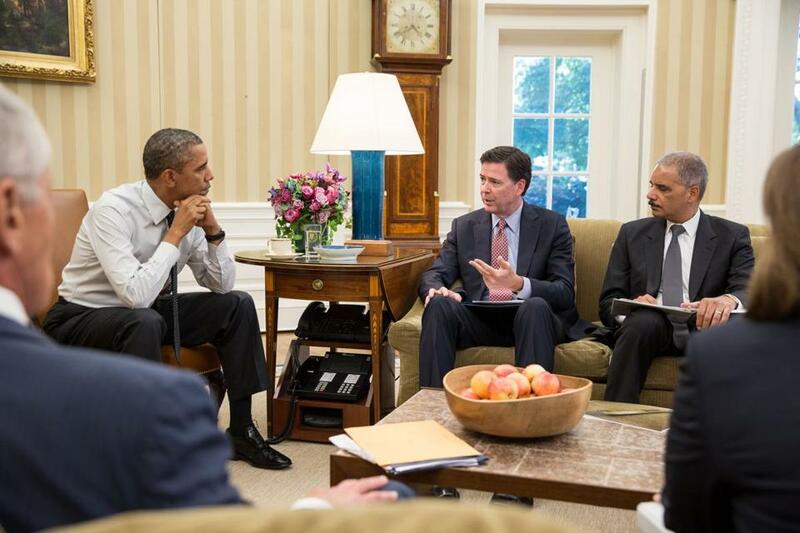 President Obama received an update on the Washington Naval Yard shootings investigation by FBI Director James Comey (left) and Attorney General Eric H. Holder Jr. in the Oval Office on Sept. 17, 2013. 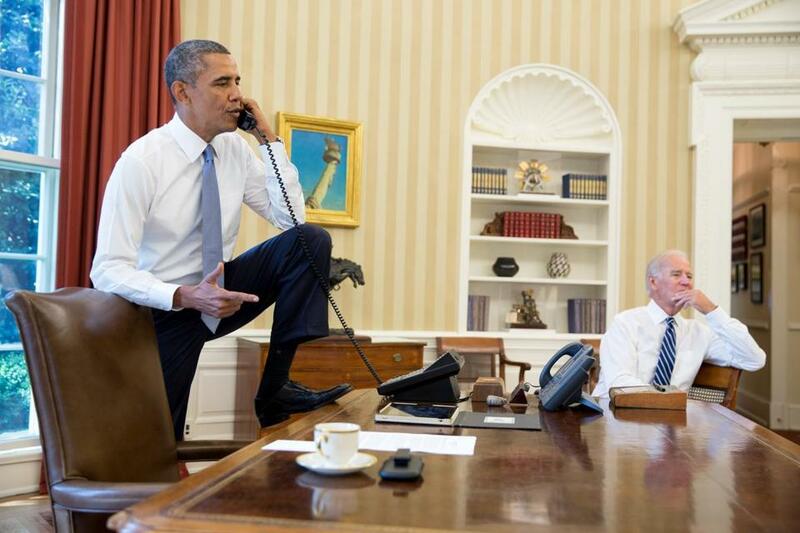 President Obama talked on the phone in the Oval Office with Speaker of the House Boehner on Aug. 31, 2013. Vice President Joe Biden listened at right. President Obama met with members of his national security team in the Situation Room of the White House to discuss the situation in Egypt on July 3, 2013. 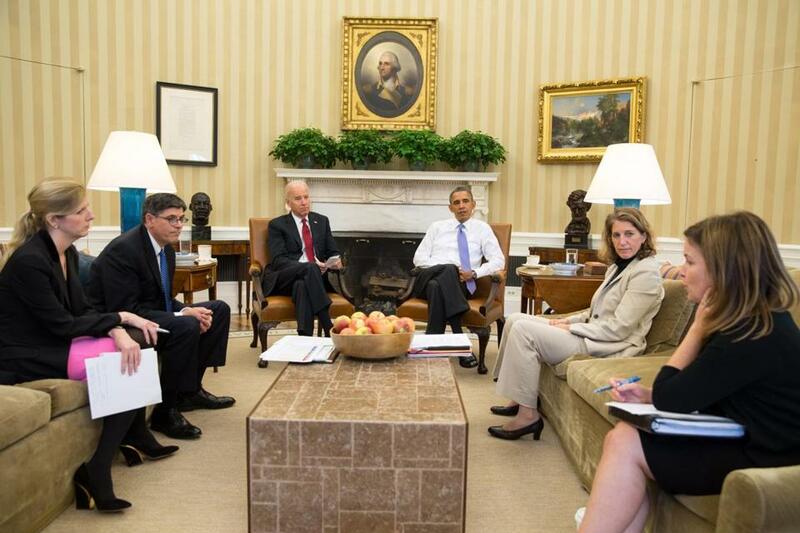 President Obama talked with Director of Communications Jennifer Palmieri, National Economic Council Director Gene Sperling, and Senior Advisor Dan Pfeiffer, following a meeting in the Oval Office on March 4, 2013. 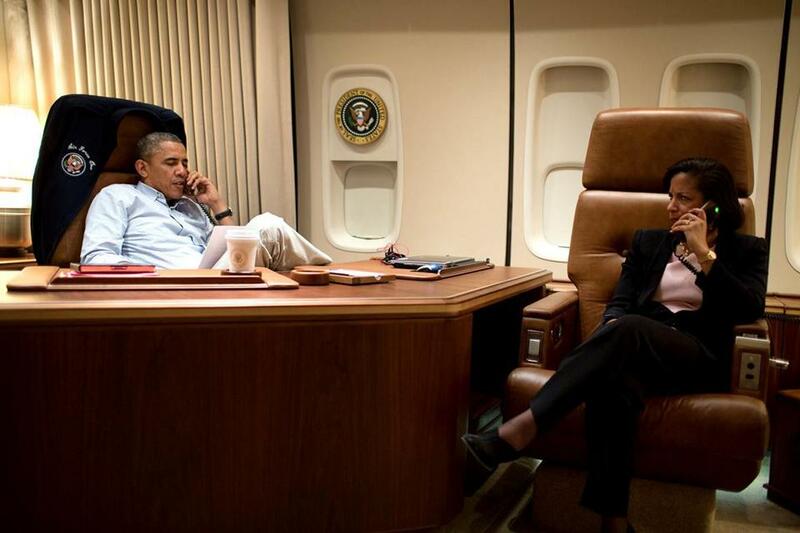 President Obama, aboard Air Force One, talked on the phone with President Hamid Karzai of Afghanistan on May 25, 2014. 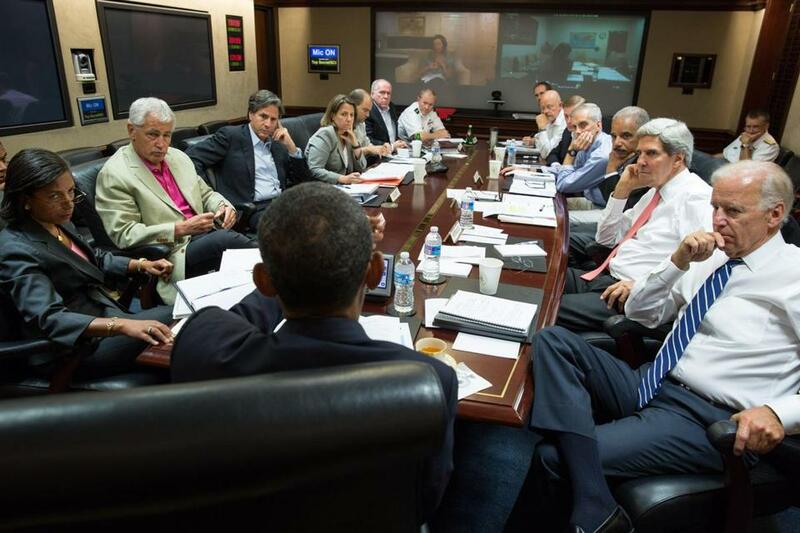 At right: National Security Advisor Susan E. Rice. 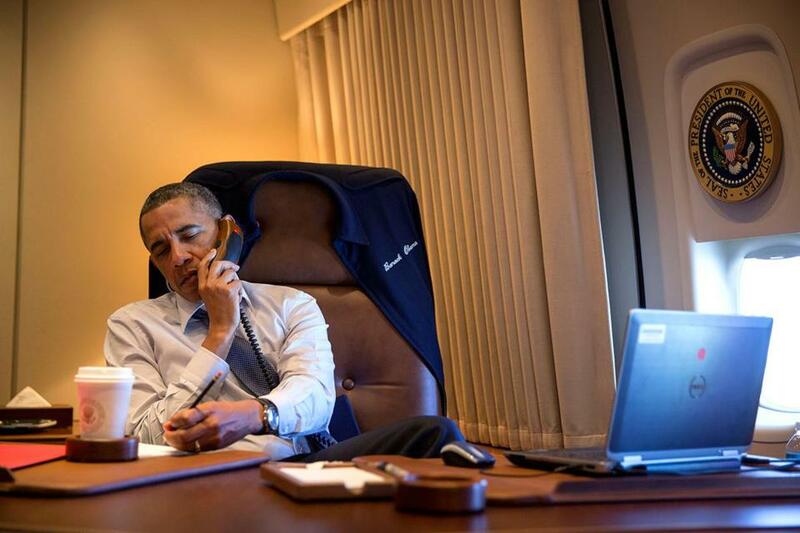 President Obama spoke on the phone in his office aboard Air Force One on April 10, 2014. 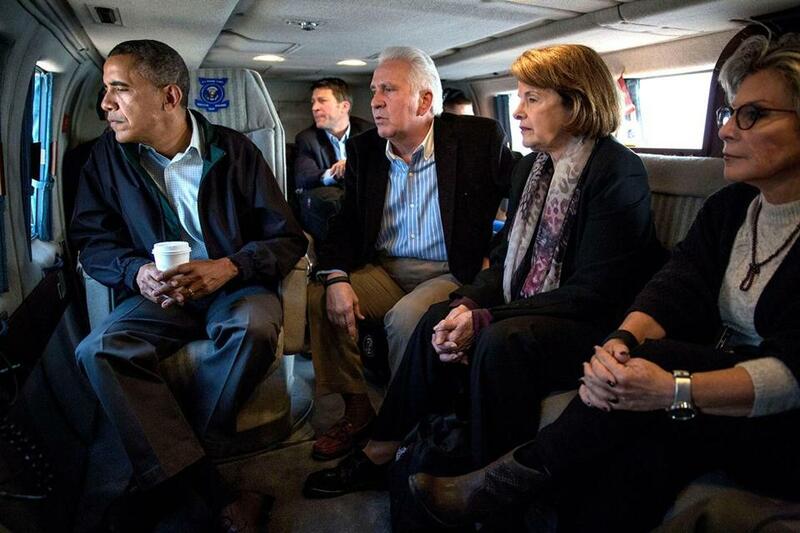 President Obama viewed drought conditions in California, flying aboard Marine One from Fresno to Firebaugh, accompanied by Representative Jim Costa and Senators Dianne Feinstein and Barbara Boxer on Feb. 14, 2014. 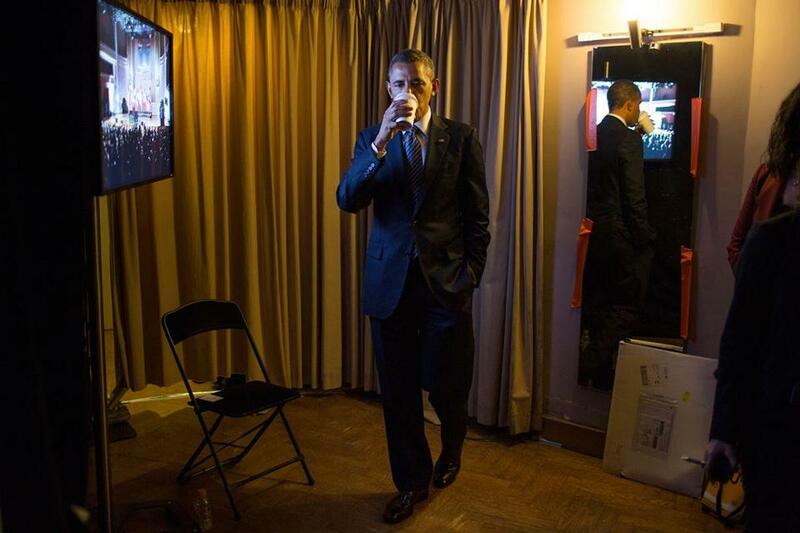 President Obama sipped hot tea backstage before he delivered remarks at the Palais Des Beaux Arts in Brussels on March 26, 2014. 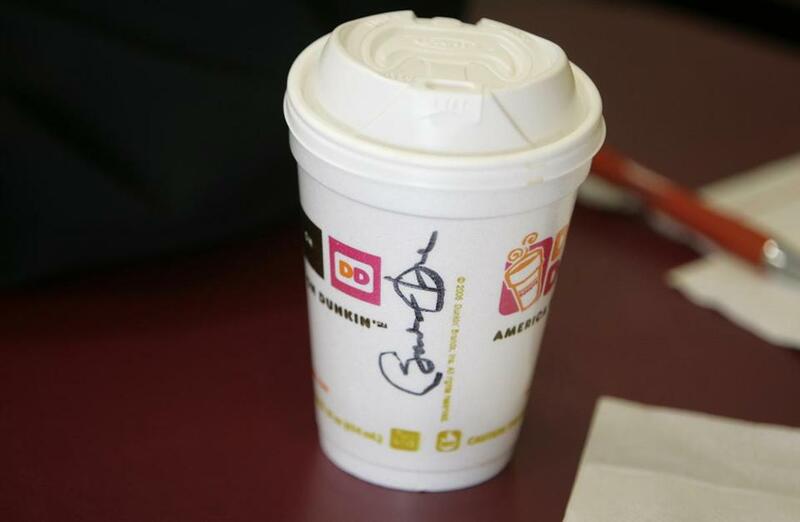 A coffee cup signed for a customer by Democratic presidential hopeful Senator Barack Obama at Dunkin' Donuts on Jan. 8, 2008, in Manchester, N.H.